When at the end of 2013, Robert Parker stepped down as editor-in-chief of The Wine Advocate, he took three investors from Singapore on board and appointed Singapore-based Lisa Perrotti-Brown as editor-in-chief; this was another sign that emerging wine country Singapore was on its way to become a major player in the world of wine. Clearly, Weingut Robert Weil from Kiedrich in the Rheingau in Germany, one of Germany’s top wine producer, has to be present in Singapore. 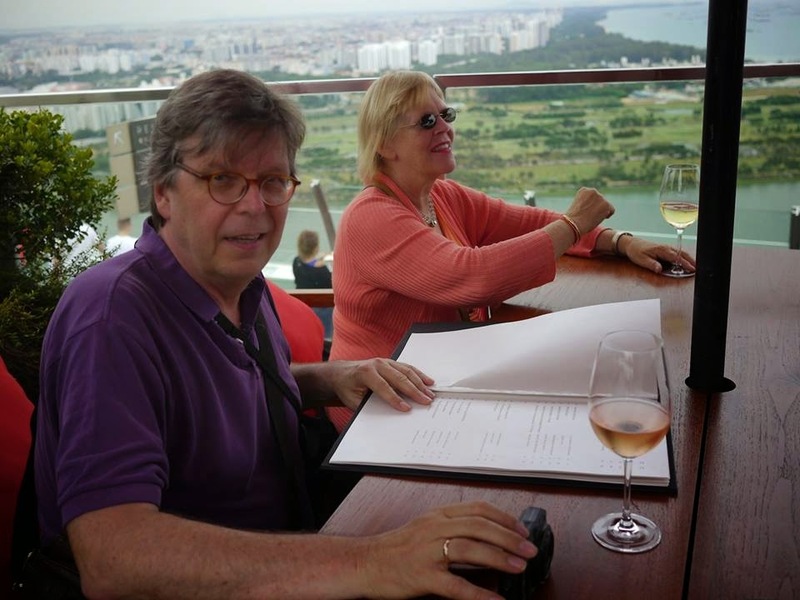 The recent tour around the world of Weingut Robert Weil Deputy Managing Director, Jochen Becker-Köhn and Export Director Nicolas Pfaff, taking the two of them to more than a dozen countries around the world, included a stop in Singapore. 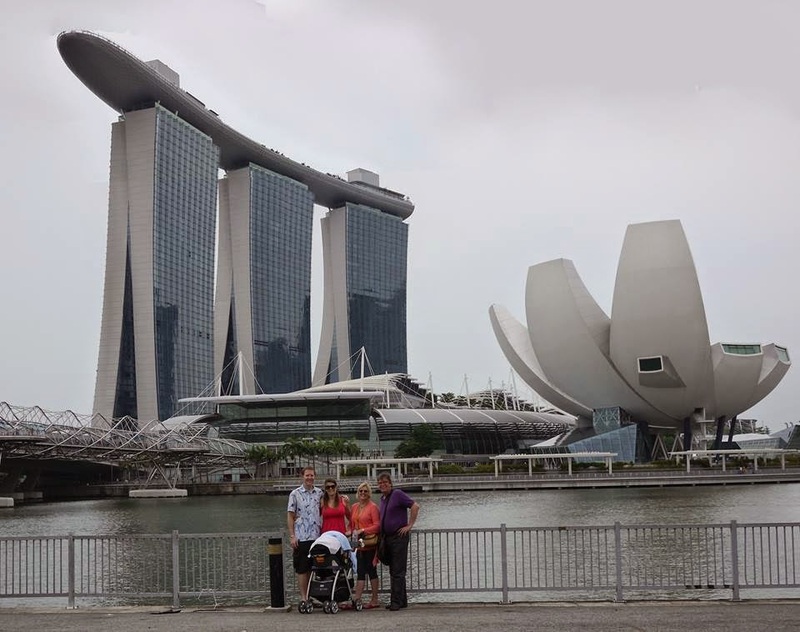 I happened to be in Singapore at the same time, for reason unrelated to wine: My granddaughter Viatrix was borne on September 16, 2014 in Singapore. This provided me with the opportunity to join them for 2 events and dinner. Weingut Robert Weil is represented in Singapore by Taste of Tradition (Importer and Distributor of Fine Wines Around the World). Joe Chia was our host. Axel Ritenis: I have been constantly amazed at the explosion of gastronomy and culinary delights that has occured here ...in this latest developmental wave,.. and I amazed by the sheer diversity and quality of food available! If this is not the food capital of the world ,.. I don't know what is? The latest wave has seen the arrival of the French and Italians,... with many newly opened wine bars and restaurants manned by enthusiastic young chefs and sommeliers,.. and other wine and food professionals ,.. intent on carving out a business niche for themselves,.. and succeeding in a dynamic Singaporean economy as opposed to the stagnant European market that many have escaped. And wine culture is exploding as well, needless to say there are many new Wine Bars and Stores specializing in Fine Wine in spite of the exorbitant import taxes and duties. Traditionally, Singapore’s wine market has been dominated by French wine. The selection of Bordeaux and Bourgogne wines, including older vintages, in the large number of wine bars and restaurants in Singapore is amazing. Today, the interest is shifting to other red wine regions. “But more importantly white wines are increasingly popular and after the Sauvignon Blanc boom, finally fine Rieslings or Grüner Veltliners are offered by the glass in some of the top restaurants” says Michael Thurner, who founded Austria’s Fine Brands in Singapore. “People have always looked at Singapore as a small market rather overshadowed by China, Hong Kong and Japan. But people are realising that it's not just an interesting market by itself, it’s a hub for Southeast Asia too,” said Simon Berry, chairman of Berry Bros.
Today, Weingut Robert Weil is managed by Wilhelm Weil, who owns the winery jointly with Suntory from Japan. With 90 hectares under vine, it is one of the largest estates in the Rheingau. The historical manor house, the ultra-modern cellars and the vinothek stand side by side in a beautiful park – the same synthesis of old and new that is reflected in the estate’s philosophy of winemaking. Roosevelt’s Diner and Bar: If you love sweet wines but have ever been told by snobs that they aren't 'serious wines' or don't pair well with food, hang out less with those people, we say! Well - that, or come for our exclusive Riesling tasting this Tuesday 7th October from 7 to 8pm. Robert Weil, famous German winemaker of Classic Rieslings will be in the house to share with you the passion, philosophy and story behind his wines. It's going to be an intimate wine tasting session, where our wine director will also do a little workshop explaining basic food pairing, and why the love for sweet wines is determined by your genetics! 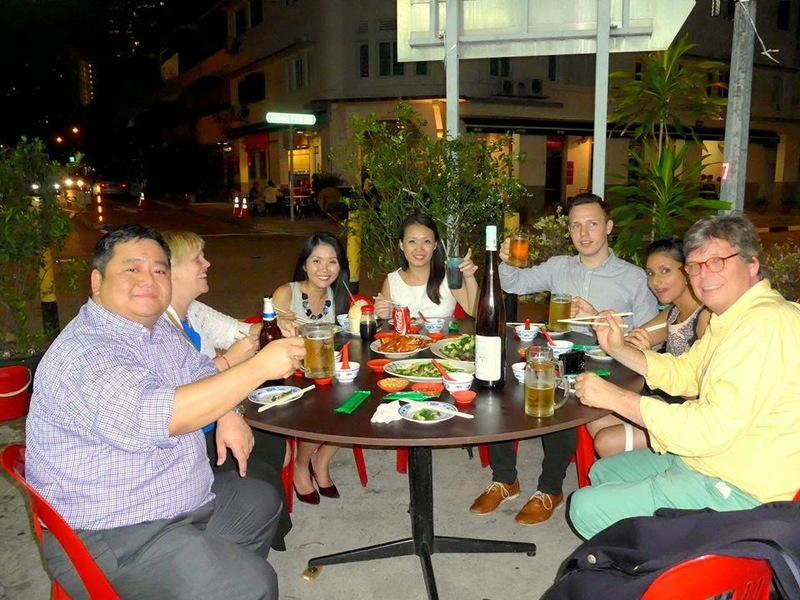 We were then received by Fonz Row, the cellar master of The Vintner on Duxton, which is located in one of the coolest areas in town. The day ended with a dinner at a local Chinese restaurtant.